Hypower is a preferred choice of renewable developers for projects nationwide. 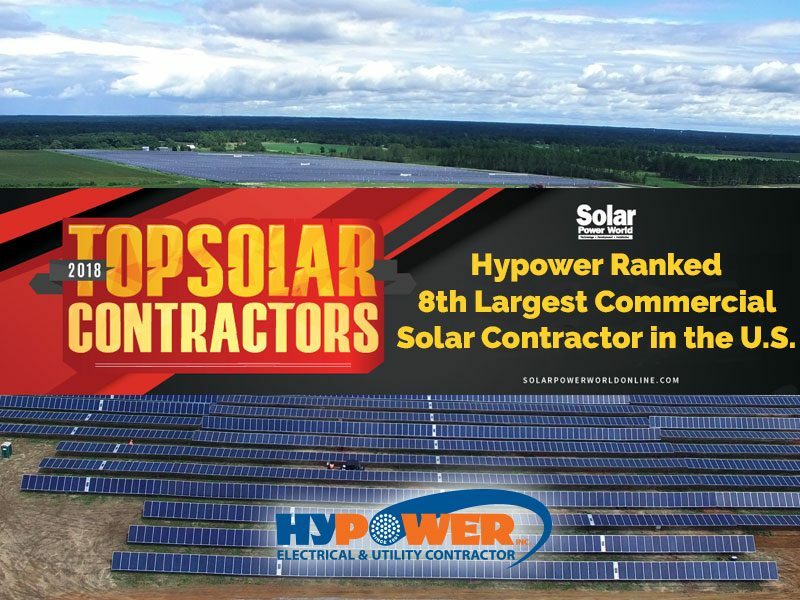 Hypower is an experienced utility-scale self-performing BOS/EPC solar contractor. The company works nationally, currently licensed in over 30 states. Hypower is committed to providing you with superior turn-key service on your renewable energy project. Hypower Renewable Energy Group provides you with knowledgeable and experienced staff for Design Build ground-mount solar projects. We have constructed and installed over 600 MW of Solar Energy. Hypower assures you end-to-end expertise on your solar project, including design, engineering, procurement, construction and post-installation service. We can deliver turnkey support for commercial projects to large-scale utility installations. Hypower can also work as a Design-Build or BOS/BOP,(balance of system, balance of plant,) to complement your business model. 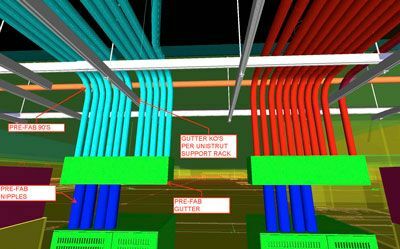 Self-performing: Virtually every aspect of your project, from initial conceptual plans through successful construction, can be managed and executed by our team. Local hiring: Hypower utilizes more than 90% local labor on every project, supporting and helping to strengthen each community in which we serve. Experienced managers: Our seasoned supervisors have years of experience leading projects through successful planning and implementation. You enjoy the highest-quality results, combined with efficient, cost-effective work processes. Full developer support: Hypower can augment your existing team on any or all facets of your project to help you meet tight schedules. Your renewable energy project enjoys a huge advantage with Hypower. Solar and wind projects are multi-disciplinary in nature: they demand specialized expertise across a variety of key areas. Hypower is one of the few companies that offer you all these disciplines under one roof. This means your project will be planned, engineered, designed, executed and managed much more holistically…beginning with the right customized design and ending with hassle-free grid interconnection and smooth third-party commissioning. Our in-house capabilities bring you greater efficiencies. Thanks to our heritage as an electrical services company, you benefit from highly-specialized expertise most firms lack, including power distribution and architecture, civil engineering and grid interconnection. We know what it takes to effectively manage construction projects on time and within budget. We are a true self-performing Design-Build contractor leveraging our four business groups to offer best value project delivery to each of our clients, Our safety record is exceptional: our attention to detail unparalleled. 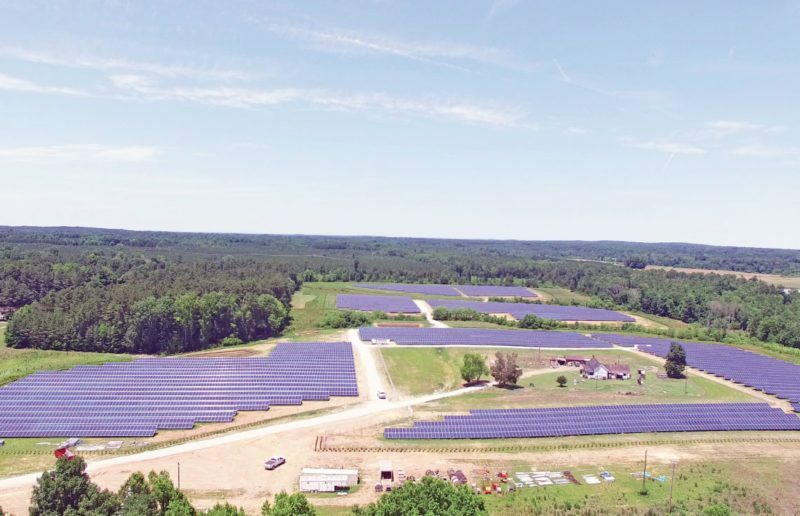 50 MWdc Solar Portfolio, North Carolina – Balance of system scope, engineering support, civil, post and racking install. Full electrical up to the POI, complete testing and commissioning. 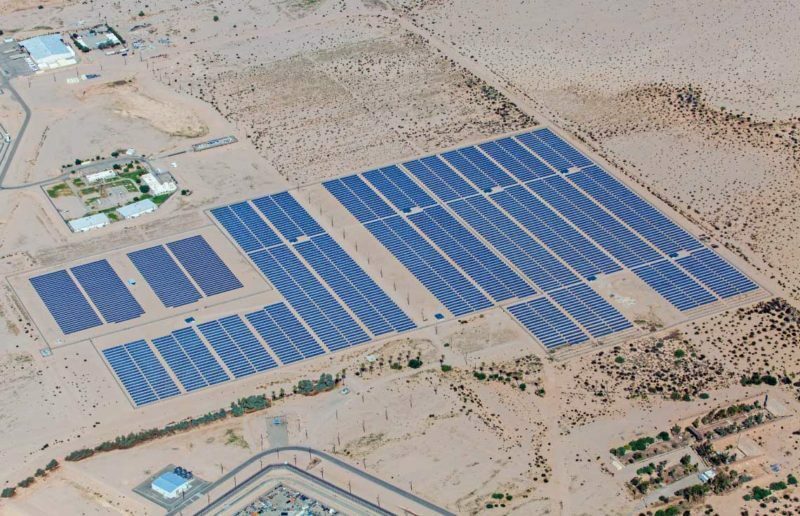 110 MWdc Solar Project – Confidential – Assist with commissioning and testing with contractor behind schedule. 4.7 MWdc Orlando Area, Florida Solar Projects – Module wiring, DC/AC collection system up to the substation, testing of the array. 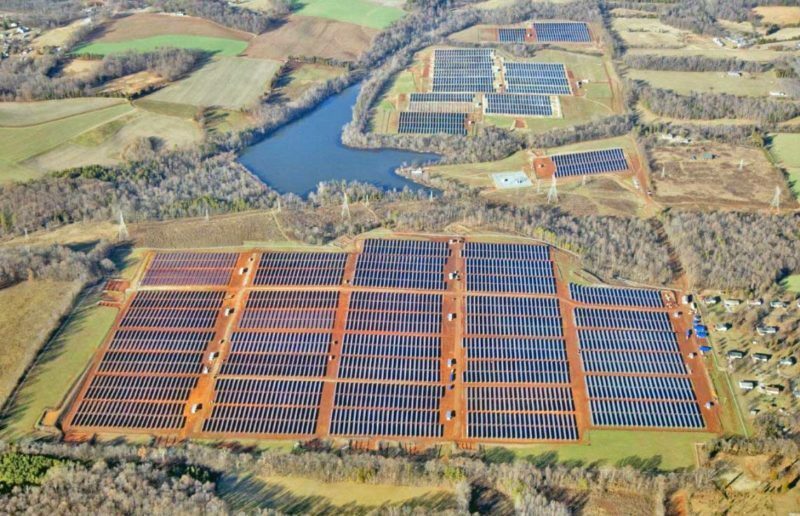 6.4 MWdc Solar Project, North Carolina – Electrical Scope, module wiring, DC/AC collection system up the GOAB. If you have a renewable energy project, Hypower is one of the few firms with the proven competency, extensive experience and in-house resources to assure you turnkey support, including all associated substation and transmission line work. Together with our Energy Infrastructure Group, we guarantee you one efficient point of contact on your solar or wind project from design to full build. Hypower’s in-house staff includes professional engineers and designers to guide the critical pre-planning stages of your solar or wind energy project. Our team has helped developers save significant time and money through holistic plans that anticipate key project challenges early on. This cuts permitting and scheduling delays, boosts efficiencies during the construction phase and empowers you to deliver the best-possible results for your stakeholders. Hypower can self-perform construction of all our designs and will smoothly manage your implementation from start to finish. Our in-house construction crews include specialized professionals to handle each project aspect. Every supervisor has prior renewable energies industry experience and remains current on all leading industry certifications. Our electricians are licensed and perform all installations to meet National Electric Code (NEC). 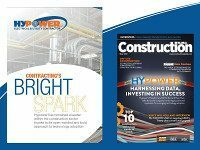 As a Design Build contractor, Hypower identifies which engineering, technologies and installation partners will work best for your initiative. 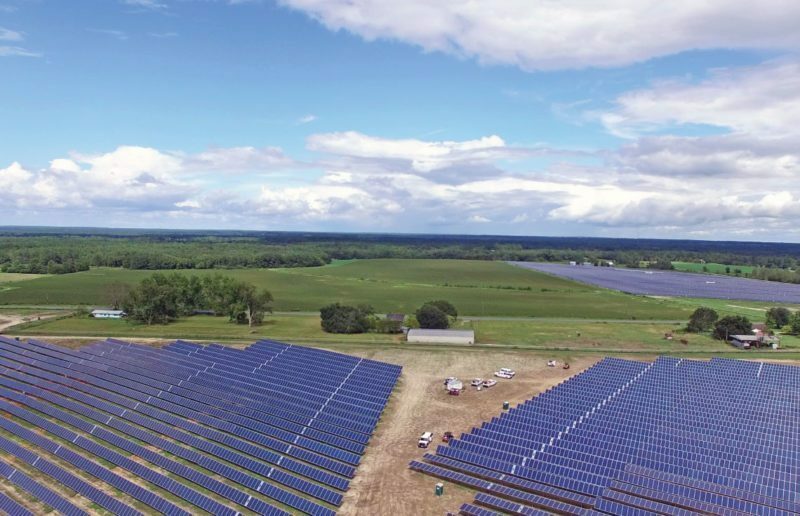 We bring a unique combination of capabilities to your project that has earned us numerous utility-scale and distributed-generation clients nationwide. Too often, operating systems comply with original design intent – yet still do not work well. This can be caused by many factors: elevated sophistication of new energy-efficient building systems, change orders, poor field decisions or designers inexperienced in the practical application of today’s renewable energy technologies. It is critical to verify that what has been designed is now constructed properly: that is the mission of the commissioning process. It can determine the effectiveness of your system and your ability to meet your long-term goals. The goal of system commissioning is to ready all mechanical and electrical systems for active service. The process includes: verification of system operation at various conditions; proper interaction between mechanical, electrical and control systems; and documentation when system performance does not meet design criteria. In short, system commissioning takes an active versus a passive approach to guarantee more successful results. Many companies can put up panels. Hypower makes certain your system is not only installed – but properly connected and working at optimum level. When you need maintenance or operational support to keep your project running effectively, you can count on the Hypower team. Because we’re not tied to a particular vendor or technology, we have many years of experience working with all the leading solar and wind manufacturers. We stand ready to dispatch crews to your facility, as needed.